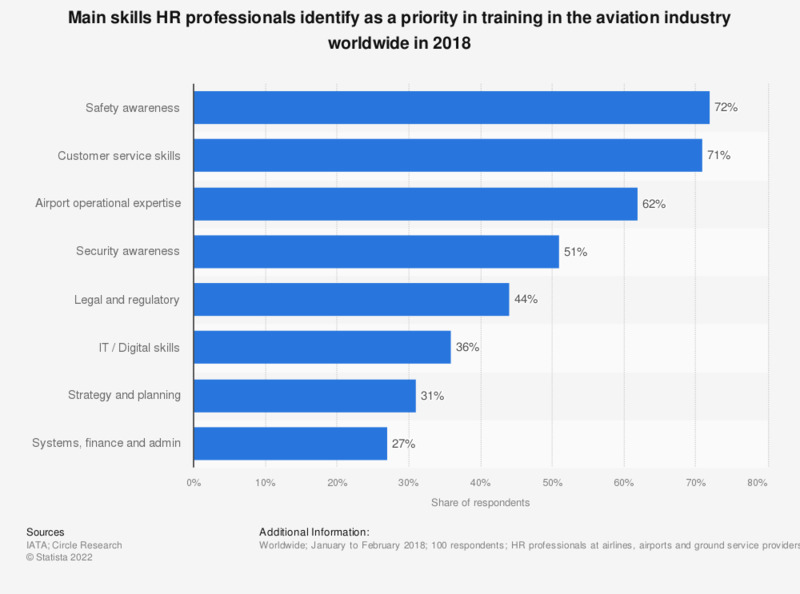 This statistic displays the main skills which human resources (HR) professionals in the aviation industry worldwide identify as a priority for training in 2018. During the survey, 72 percent of respondents identified safety awareness as a skill which training should focus on. HR professionals at airlines, airports and ground service providers.